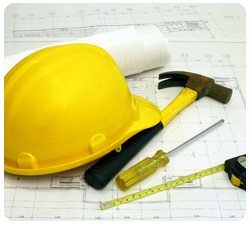 At PD Home Renovations and Construction, our general contractors will take your home renovations from designs to completion. We are current with all the latest styles and trends available and with access to our qualified interior designers, the guess work for colors, stone / tile and countertops is eliminated! An exciting team of general contractors or professionally trained trades people, along with the skilled management team are the keys to the company's growth and recognition in the industry. The team works closely with architects and the designers and every stage of the construction process is closely monitored to ensure the design intent is never compromised, budgets and schedules are maintained and the quality of detail is second to none. We guarantee Complete renovation solutions for every type of home and budget and Free design consultations, in-home measurements, and project advice. PD Home Renovations & Construction provides an array of residential and commercial construction and renovation services across Kitchener, Waterloo ON. 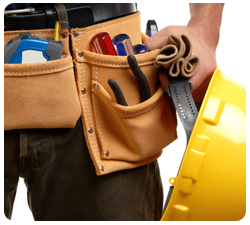 Whether you are building a new home, upgrading your interior/exterior or performing regular maintenance, we have the experienced staff to help you with your construction project. We provide the most value to our clients by delivering successful construction projects through full understanding of client's needs, and high quality work. The completion of projects on the original schedule is very important to us. We are client focused and quality driven. As a relationship-based company, we promote communication and are dedicated to long-term client and team commitments. Our ability to deliver on our commitments is evident in our exceptional level of repeat business. The success of PD Home Renovations is built on the philosophy that the clients objectives be met at every stage of the construction process. Our goal is not only to build projects, but more importantly to build relationships and the referrals we receive serve as testament to our satisfaction guaranteed policy. If you have any questions or want to have more details of our home renovations and construction services across Kitchener, Waterloo ON, feel free to Contact PD Home Renovations and Construction - General Contractors in Kitchener, ON.